How to See The Last: Naruto The Movie in a Theater! Fans won’t want to miss the exciting conclusion of this epic story, fifteen years in the making! 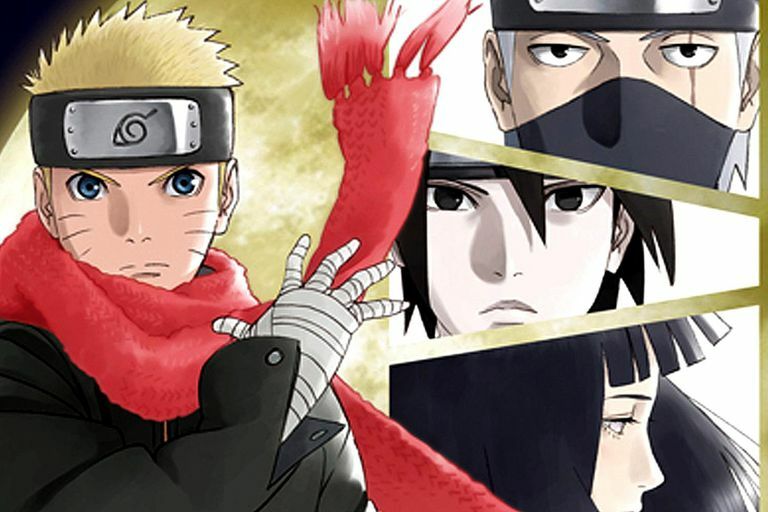 After an impressive run, the hit Naruto Shippuden anime TV series will finally come to a close in late 2014 in Japan. In the same month the final episode airs though, one last Naruto movie will hit the big screen and conclude this chapter in Naruto's life in a grand theatrical fashion. As a special treat to international fans, The Last: Naruto The Movie (in case you were confused, that's the actual movie title) will be getting limited screenings outside Japan in the original Japanese language with English subtitles. A Western release of the movie on Blu-ray and DVD is a given sometime in 2015 in both Japanese and English audio but for dedicated Naruto fans who don't want to wait, these screenings are sure to please. Tickets go on sale starting in mid-January 2015. The highly-anticipated seventh feature film in the NARUTO SHIPPUDEN series is almost here! Special screenings of THE LAST: NARUTO THE MOVIE will be held starting February 20th in over 20 major cities around the U.S., and fans can now view the full theater list and purchase tickets at partner Eleven Arts' site. Attendees will receive a commemorative film poster, while supplies last! . Additional cities and screenings may be added; check the ELEVEN ARTS’s webpage for future updates. The Last: Naruto the Movie has been confirmed for Canada though no specific dates or locations have been revealed. Expected to get a wide release. Tickets will go on sale soon at these locations and further details will go live on the reelanime.com.au shortly. The Last: Naruto the Movie has also been confirmed for several other countries. Dates are subject to change. If you get your Naruto Shippuden fix by watching the English language version on DVD, Blu-ray or on TV which are behind the Japanese language version by a few months or so, you may want to catch up and watch the final TV episode first online as the movie appears to be set after the TV series and may not make as much sense if you haven't seen the TV series finale yet. The previous Naruto Shippuden movie, Naruto The Movie: Road to Ninja was recently released on Blu-ray and DVD and was one of the most enjoyable Naruto movies to date and also one of the best anime movies of the year. This page will be updated as more countries (USA and Canada locations and times will be added when details are announced) are confirmed so make sure to check back often and connect with me on one or all of the social media platforms below to get notified of new dates and times ASAP.